Regiment/Service: Seaforth Highlanders, 2nd Bn. Grave Reference: II. K. 41. 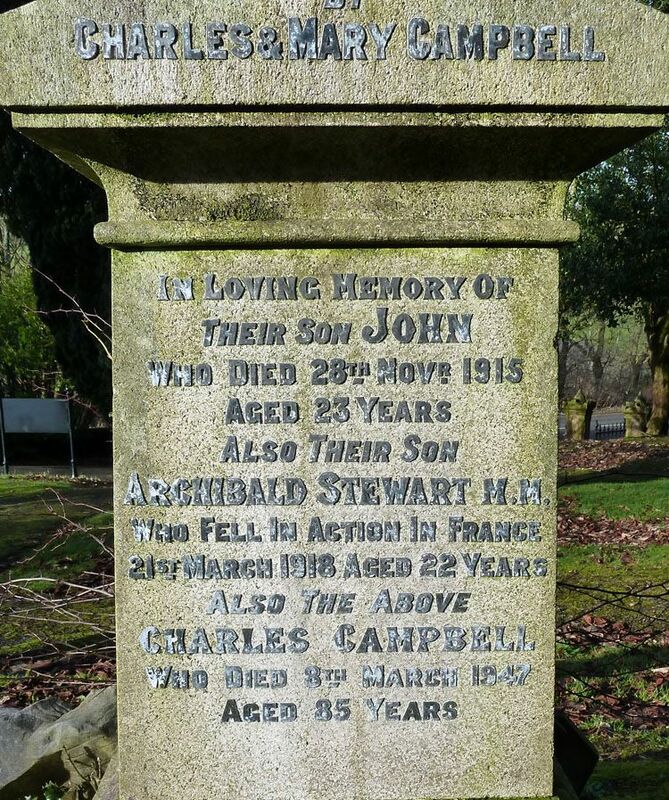 Additional Information: Son of George and Jeanie Airston of 75 Cross Arthurlie St., Barrhead, Glasgow. 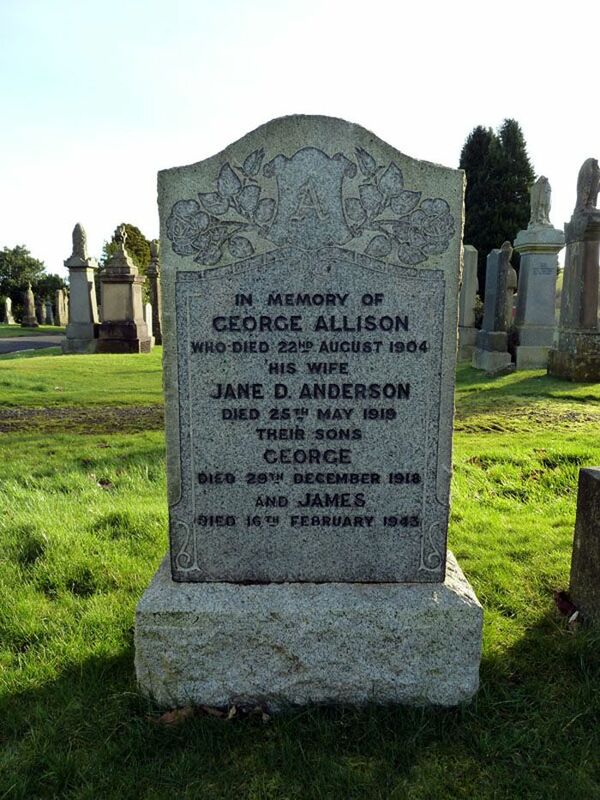 Additional Information: Son of Mr. and Mrs. A. Anderson, of 8, George St., Barrhead, Glasgow. Grave Reference: III. H. 6. 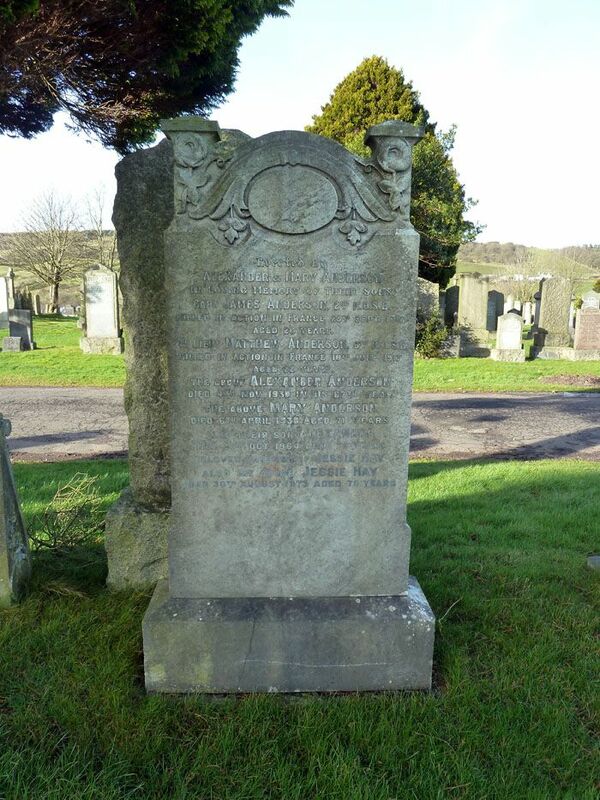 Additional Information: Son of Mr. and Mrs. Alex Anderson of 8 George St., Barrhead, Glasgow. Regiment/Service: Argyll and Sutherland Highlanders, 1st/7th Bn. 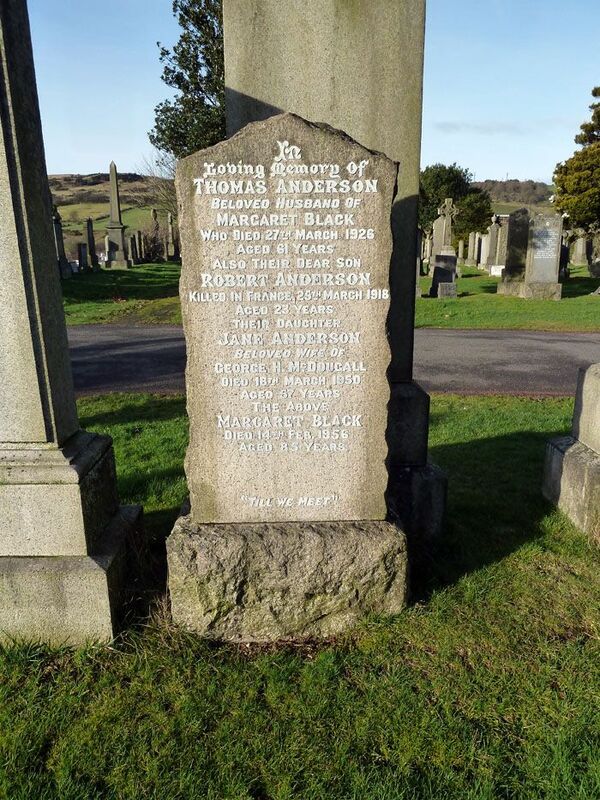 Additional Information: Son of Thomas and Margaret Anderson, of 3, Kerr St., Barrhead, Glasgow; husband of Elizabeth Taylor Anderson, of 1712, Wallace St., Falkirk, Stirlingshire. Regiment/Service: Royal Scots Fusiliers, 1st Bn. Grave Reference: 6. K. 3. Grave Reference: III. C. 57. 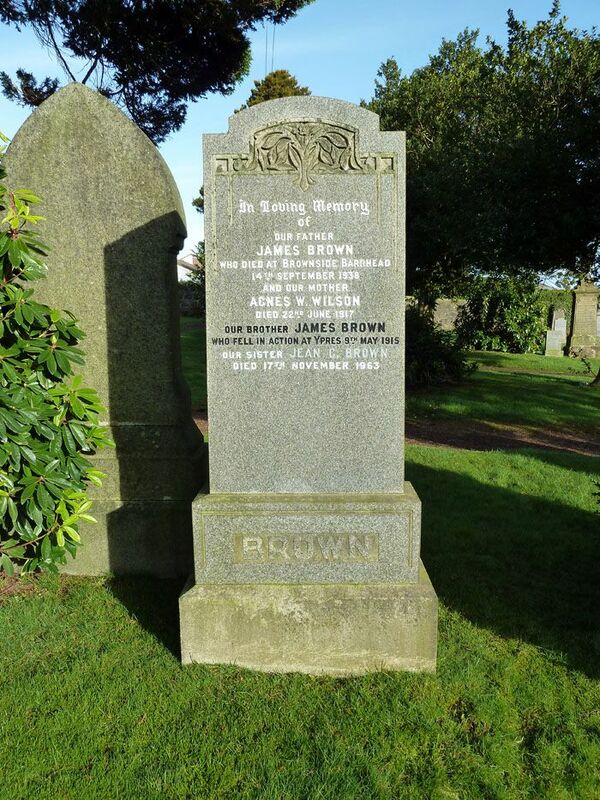 Additional Information: Son of James and Agnes Brown. 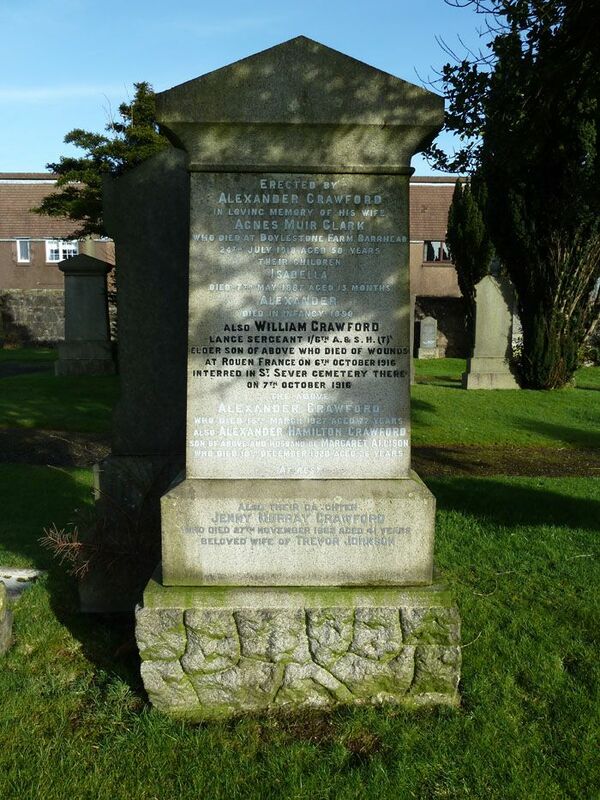 Born at Neilston, Renfrewshire. Panel Reference: Panel 45, Column 3. 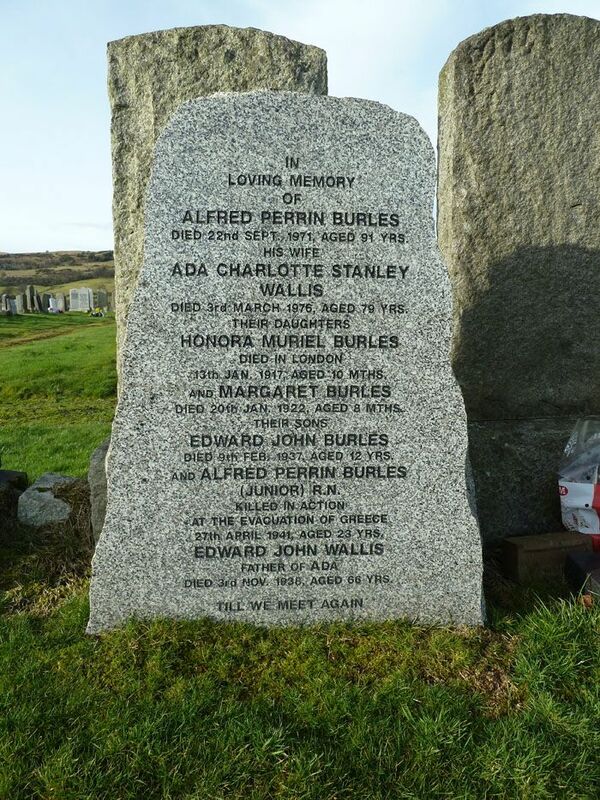 Additional Information: Son of Alfred Perrin Burles and Ada Charlotte Burles of Barrhead, Renfrewshire. Regiment/Service: King's Own Scottish Borderers, 5th Bn. Grave Reference: Sec. Q. Grave 215. 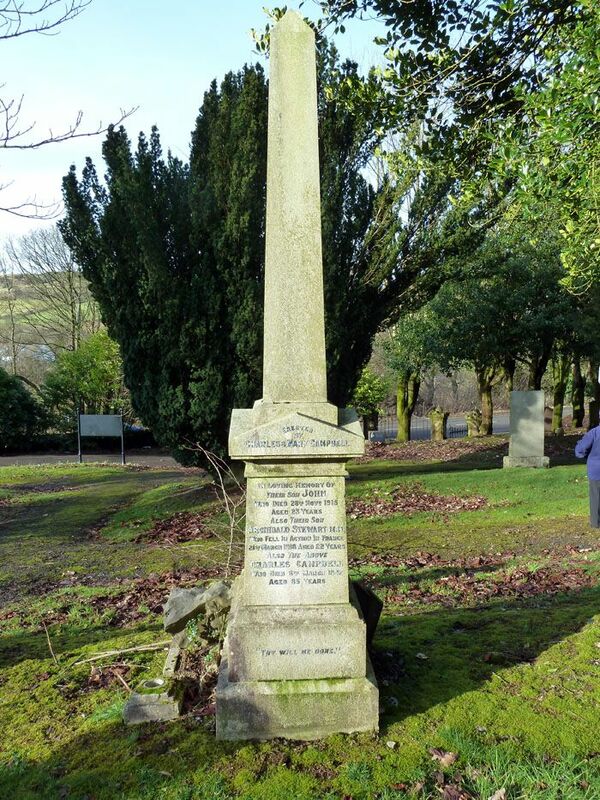 Additional Information: Son of Samuel and Frances Caldwell, of Neilston. 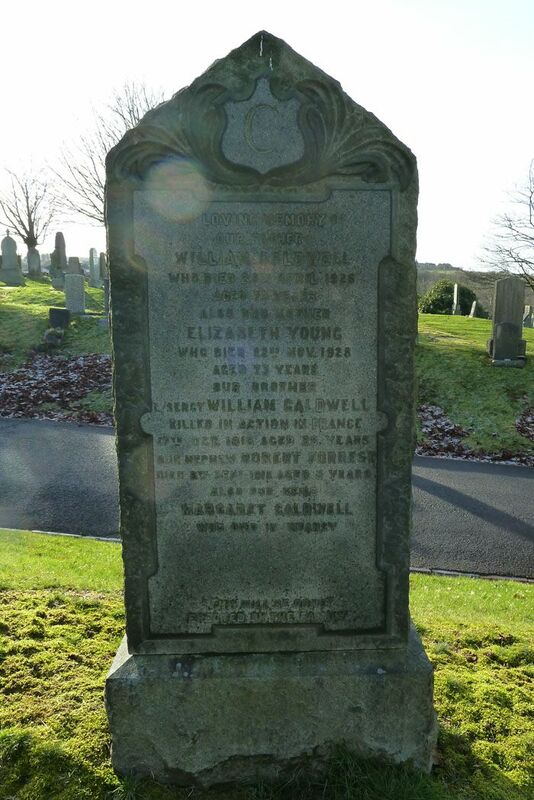 Additional Information: Son of William and Elizabeth Caldwell; husband of Mrs. Flora Caldwell of 31, Barnes St., Barrhead, Glasgow. Native of Co. Durham. 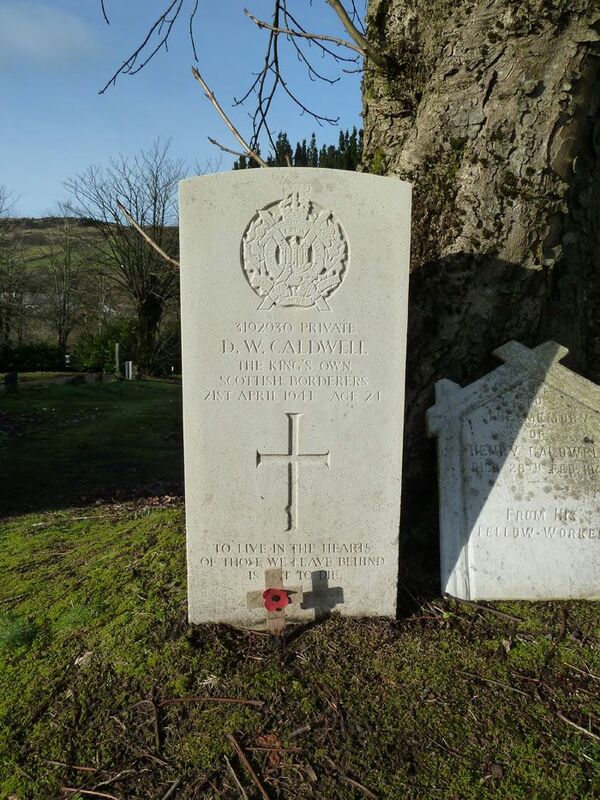 Regiment/Service: Labour Corps, 323rd Coy. 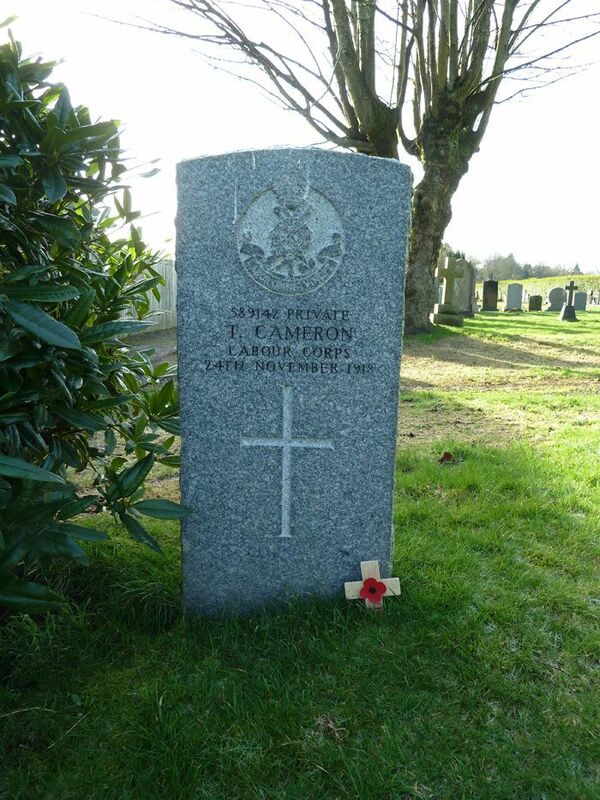 Additional Information: Son of David Cameron, of 148, Main St., Barrhead, Renfrewshire. Grave Reference: Sp. Mem. A. 9. Buried near this spot. 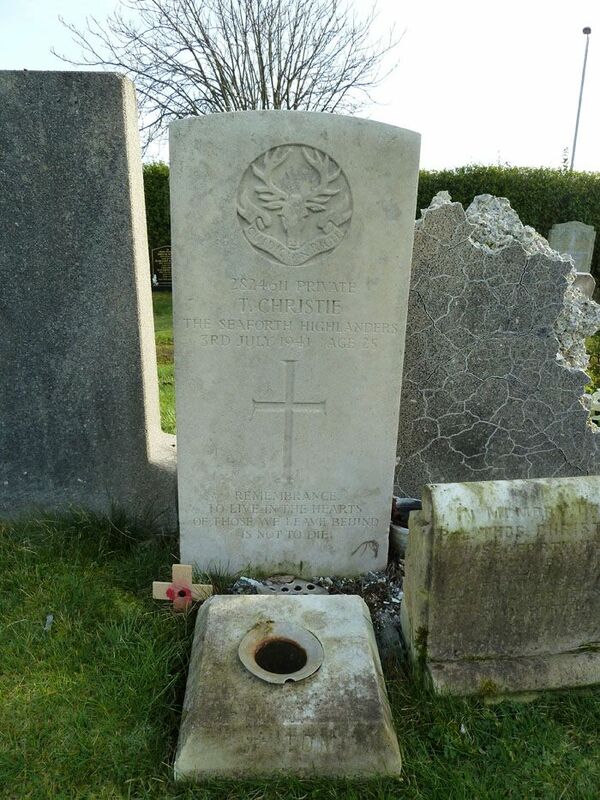 Regiment/Service: Seaforth Highlanders, 7th Bn. Grave Reference: Sec. E.B. Grave 37. 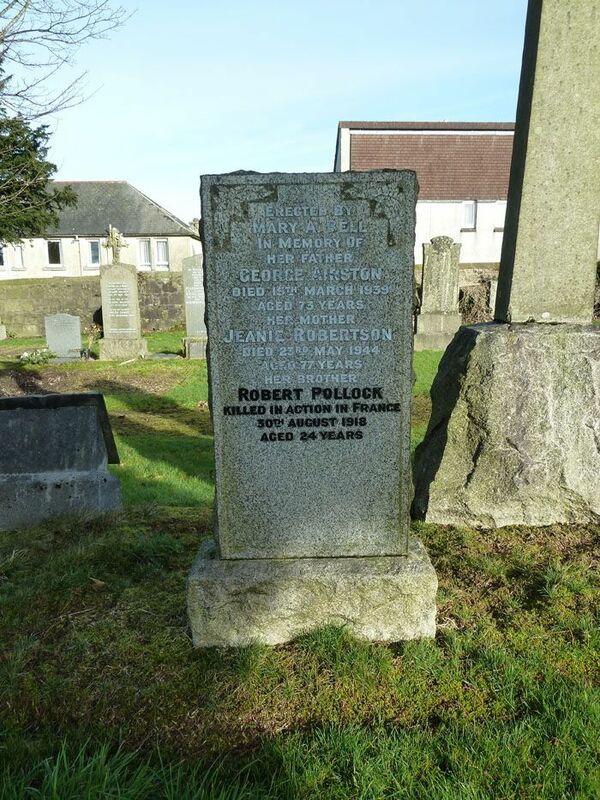 Additional Information: Son of Robert and Jane A. Christie of Barrhead. 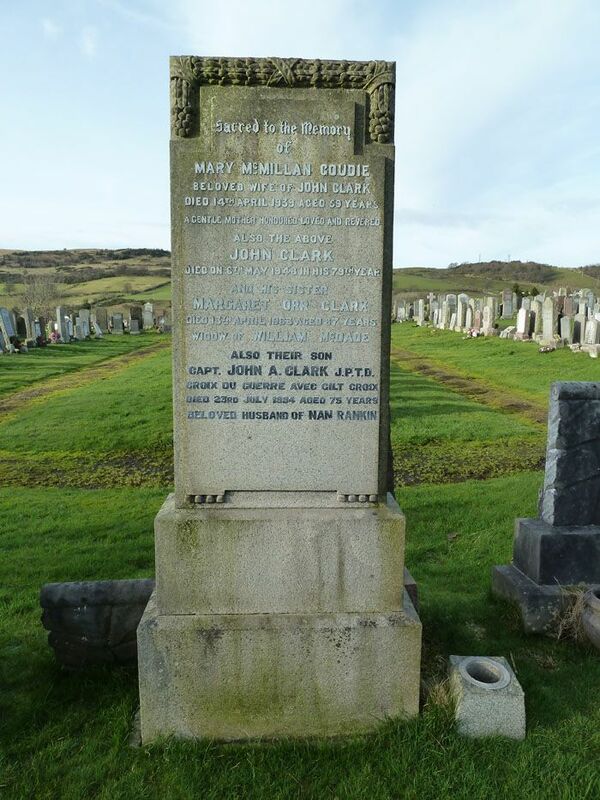 CLARK JP TD, JOHN A.
Regiment/Service: Argyll and Sutherland Highlanders, 1st/6th Bn. Grave Reference: B. 20. 5. 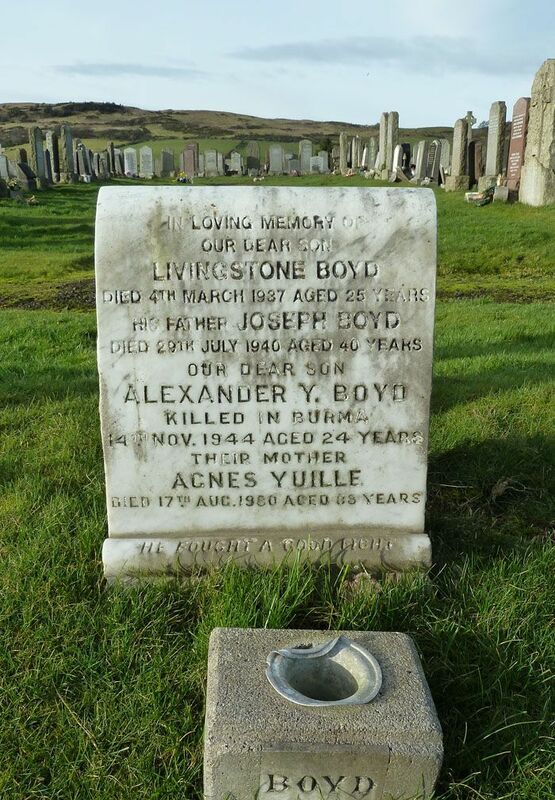 Additional Information: Eldest son of Alexander and Agnes Muir Crawford of Boylestone Farm, Barrhead, Renfrewshire. Grave Reference: Sec. E.H. Grave 207. 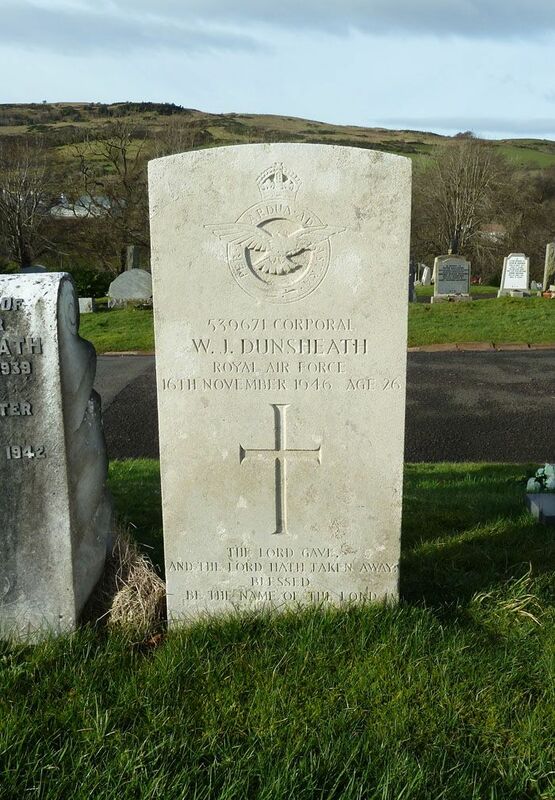 Additional Information: Son of William John and Margaret Dunsheath of Barrhead.